^ 1.0 1.1 1.2 Mount Erebus. 全球火山作用计划. 史密森尼学会. [2008-12-29]. ^ Antarctic explorers. 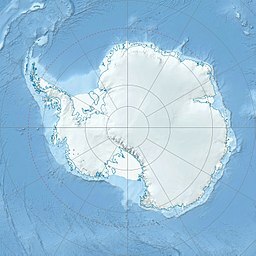 Australian Antarctic Division. [2008-12-29]. ^ Mount Erebus. 美国地质局地理名称信息系统. [2011-07-30]. ^ Mt. Erebus. Mt. Erebus Volcano Observatory (MEVO). [January 11, 2015]. （原始内容存档于2012年3月12日）. ^ Mount Erebus Volcano Observatory. New Mexico Tech. [2008-12-29]. （原始内容存档于2007-07-02）. ^ Ross, Voyage to the Southern Seas, vol. i, pp. 216–8. ^ List of Historic Sites and Monuments approved by the ATCM (2013) (PDF). Antarctic Treaty Secretariat. 2013 [2014-01-09].